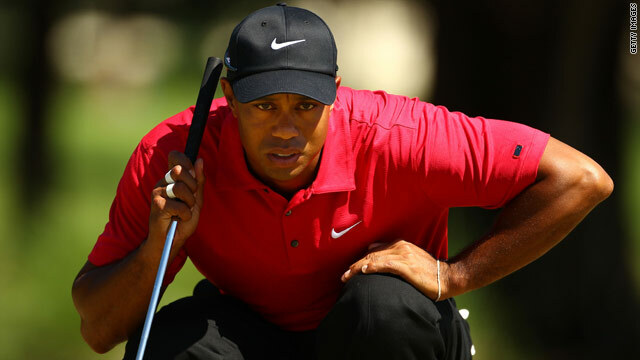 Haney says "Tiger Woods and I will always be friends"
(CNN) -- Tiger Woods' troubled career took another blow Monday, when one of his coaches said he would no longer be working with golf's No. 1 player. "Just so there is no confusion, I would like to make it clear that this is my decision," Hank Haney, Woods' swing coach, said in a statement posted to his website. "Tiger Woods and I will always be friends, but I believe that there is a time and place for everything, and I feel at this time and at this place in my life I want to move forward in other areas." The announcement came a day after Woods dropped out of the final round of The Players Championship in Ponte Vedra Beach, Florida, complaining of "a bulging disk" in his neck. "I'm having a hard time with the pain," Woods said at a news conference Sunday. "There's tingling down my fingers, just the right side. Setting up over the ball is fine but once I start making the motion, it's downhill from there." Woods said anti-inflammatory drugs have been ineffective and plans to have an MRI. Woods has been at the white-hot center of controversy since revelations of extramarital affairs arose following a car accident in late November. In the ensuing months, several alleged lovers have come forth, and Woods spent 45 days at a rehabilitation center for what the golfer called "personal" issues. He returned to competition in early April for the Masters tournament in Augusta, Georgia, in which Woods placed fourth. "As we all know, Tiger has been through a lot in the last six months, and I really believe that given the chance, mind free and injury free, we will all see Tiger Woods play once again like we all know he can," Haney said. "I wish Tiger well, not only with his golf, but in finding peace and happiness in all aspects of his life. Tiger knows that if he ever needs me in anyway, whether it be with his golf or just as a friend he can always call," he added. "I will always, as I have been in the past, be there for him."